One of our most popular products! Available from minimum orders of 1000. Printing from single colour to a maximum of 3 colours 2 sides, or 6 colours 1 side (spot designs only, process not available). 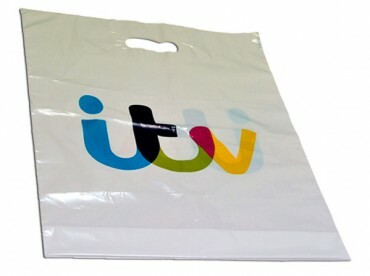 Aperture Handle Carrier Bags are the most common type of plastic carrier bag, but here at Direct Promotions we understand the importance of producing even the most basic bags to the highest possible standard.